In Jafar Panahi's latest film, actress Behnaz Jafari is distraught when she comes across a young girl's video plea for help after her family prevents her from taking up studies at the Tehran drama conservatory. 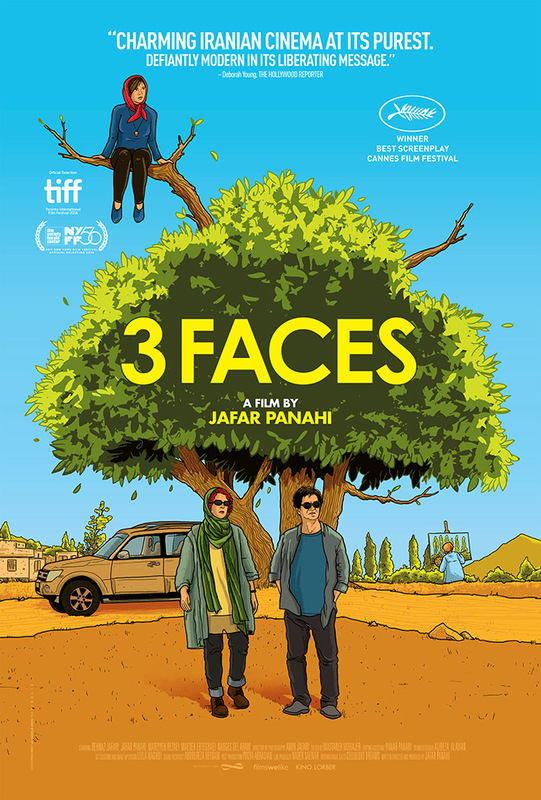 Iranian director Jafar Panahi’s fourth completed feature since he was officially banned from filmmaking is one of his very best. Panahi begins with a smartphone video shot by a young woman (Marziyeh Rezaei) who announces to the camera that her parents have forbidden her from realizing her dream of acting and then, by all appearances, takes her own life. The recipient of the video, actress Behnaz Jafari, as herself, asks Panahi, as himself, to drive her to the woman’s tiny home village near the Turkish border to investigate. From there, 3 Faces builds in narrative, thematic, and visual intricacy to put forth a grand expression of community and solidarity under the eye of oppression.